This year Disneyland has done a wonderful job of making their newest attraction Cars Land fit into their seasonal message, don't you think? 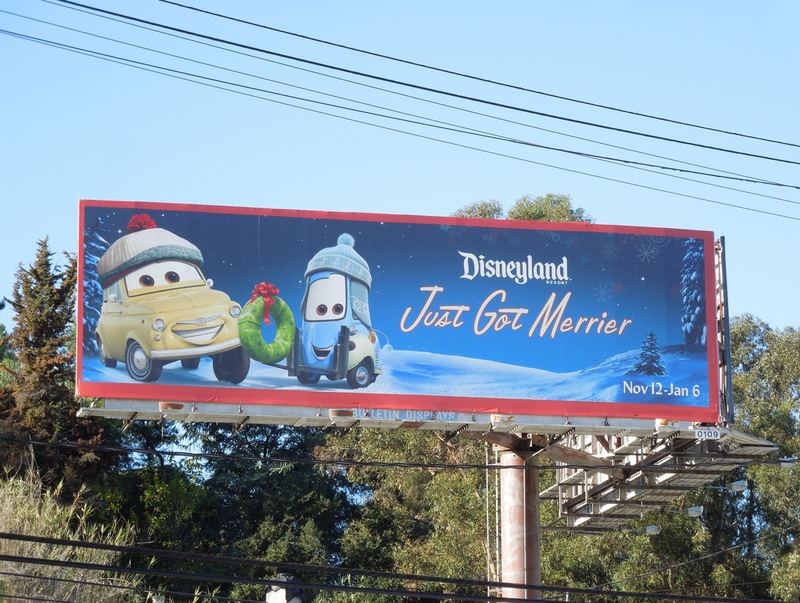 Lightning McQueen, Mater and their Radiator Springs pals look very festive on those wintery landscapes in their Santa hats and ear-muffs. 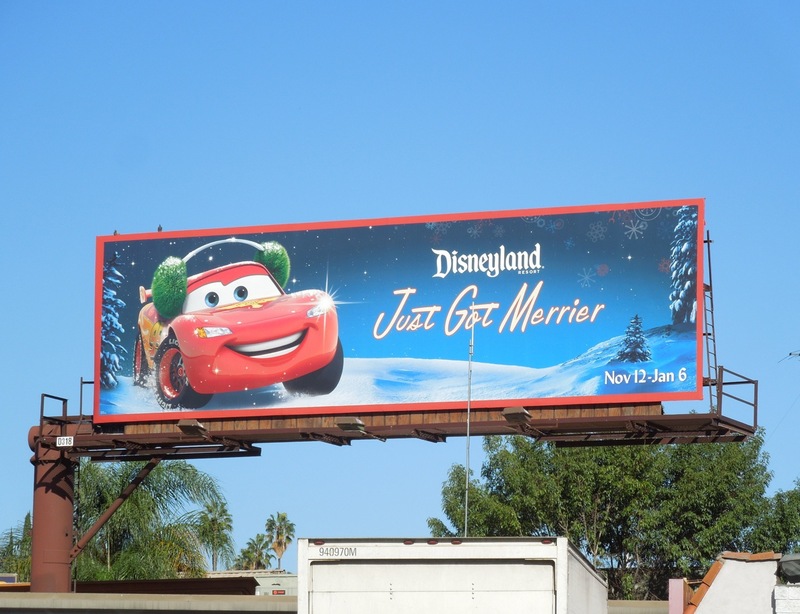 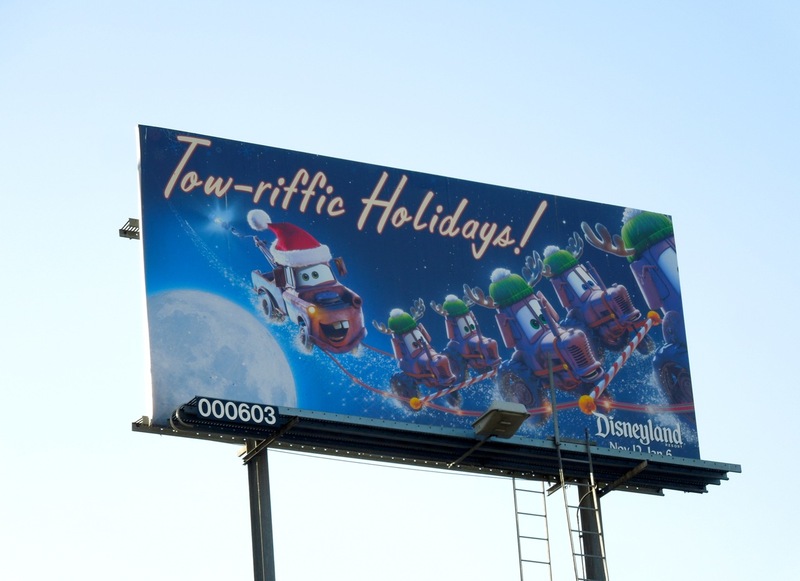 And if these fun billboards are helping you get in the Christmas spirit, be sure to also check out these Disneyland Holiday Lights billboards from previous years. 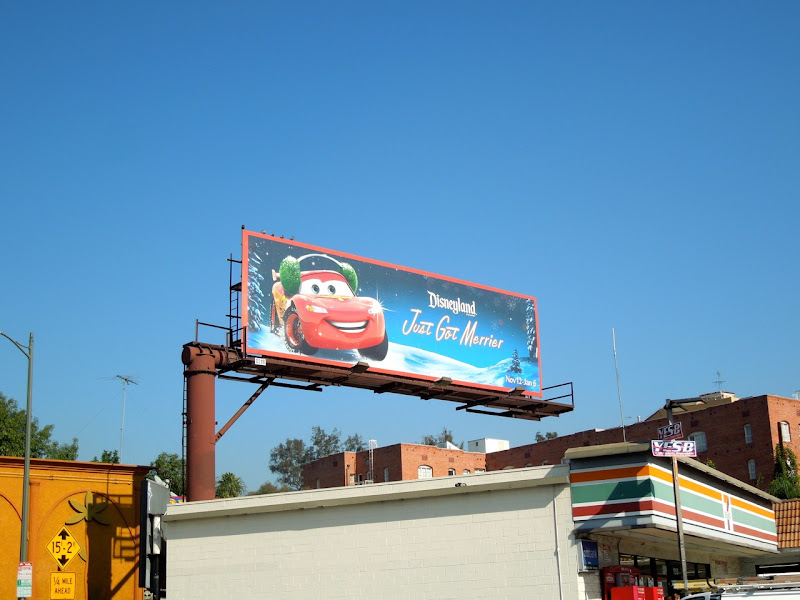 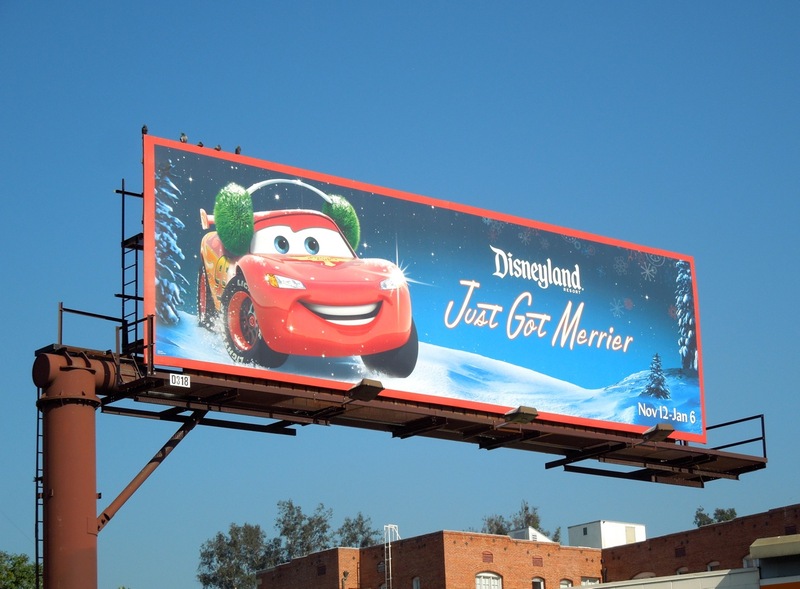 And if you're a fan of these Disney/Pixar characters make sure you also take a look at these billboards for the opening of Disney's Cars Land earlier this year. 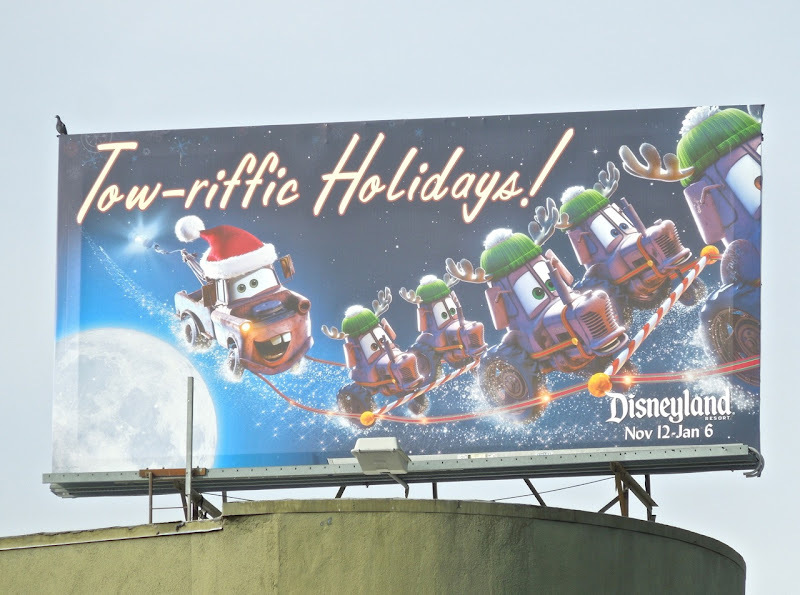 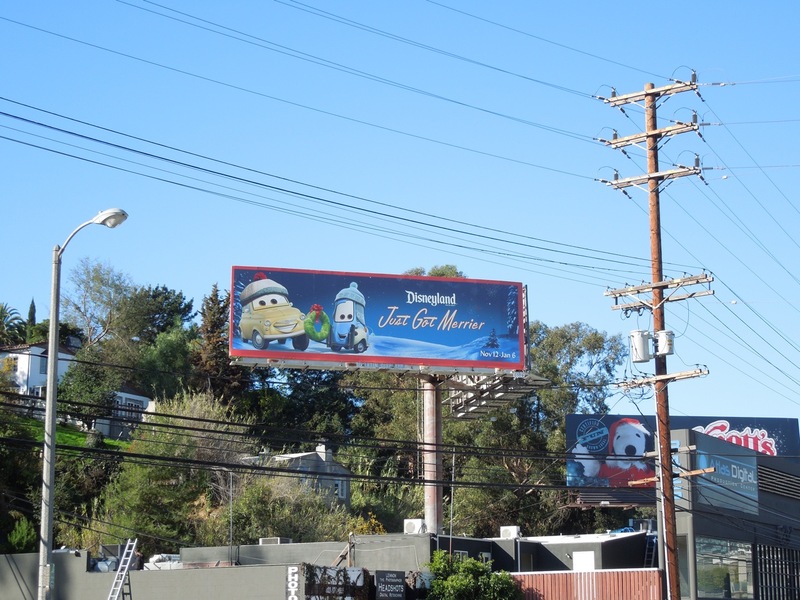 These festive billboards were snapped along Cahuenga Boulevard and Hollywood Boulevard from November 10 to December 19, 2012. Here's wishing you all a Merry Christmas Eve, just one more sleep to go.